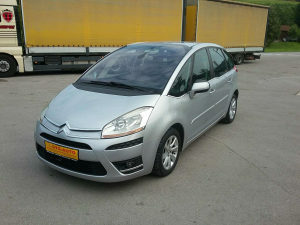 CITROEN C4 PICASSO, 1.6 HDI, 2010 G.P, 80 KW !!! VOZILO JE U PERFEKTNOM STANJU, POSJEDUJE PARK SENZORE, DIGITALNU DVOZONSKU KLIMU, KOMANDE NA VOLANU, TEMPOMAT, ORIGINALNI CD PLAYER, ALU FELUGE I JOŠ MNOGO TOGA. TEK UVEZENO I PLAĆENE SVE OBAVEZE DO REGISTRACIJE !